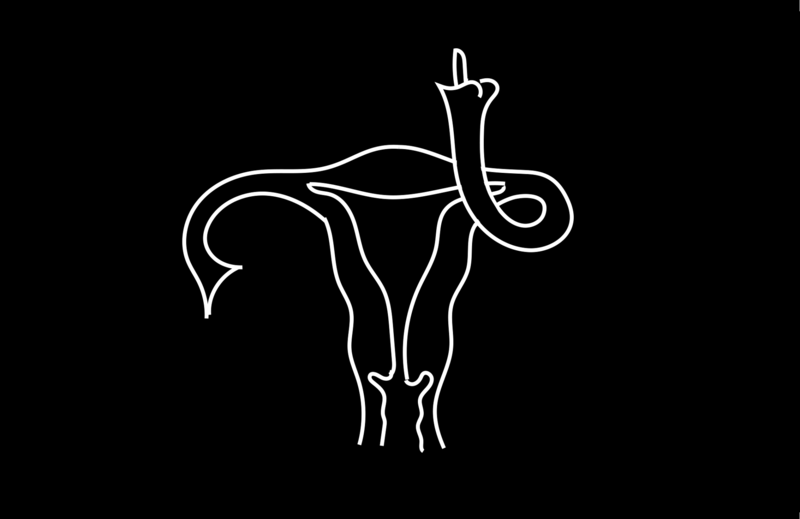 You might have also noticed from the media and angry Facebook posts with this kind of stuff that Norway might be about to change its Abortion law. Now what is happening? Is it true? And what is the link between these two things? Here is an explanation for those who are trying to follow but don’t really manage (note that Norwegians, despite their small population, have a very high number of political dramas, scandals et tutti quanti every single year which can be hard to follow even for Norwegians themselves). 1- The current government is in minority in the Parliament. In the Fall of 2017, there was a national election in Norway (see here. Erna Solberg, the head of Høyre – the Conservatives, stayed as a Prime Minister governing in a coalition with FrP-the Progress Party (far right). But they were in a minority government, without enough seats in parliament to have a majority, so they had to find allies. There are four right wing parties in Norway: Høyre (the Conservatives), FrP (far right), Venstre (the Liberals) and KrF (the Christian party) – although apparently KrF is seen as some as a centre party and others as a right wing party. See here the current parliament (I hope you aren’t colour blind). 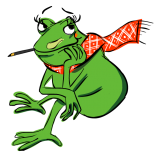 Both KrF and Venstre have both said they would not join a government where they have to rule with FrP. 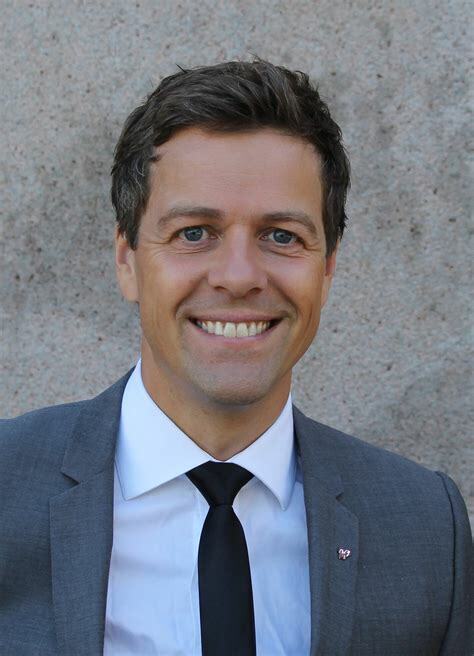 Surprise surprise, after negotiations after the elections, Venstre accepted to be in the government by getting some key positions such as the Ministry of Environment (Ola Elvestuen) and the Ministry of Culture (Trine Skei Grande) and key advisor positions in other Ministries such as the Ministry of Immigration. But Erna Solberg’s ruling government is still in minority. They need the Christians Democrats. A few weeks ago, the leader of KrF Knut Arild Hareide came out with a book, and then later said clearly that he would rather enter a coalition with the Labour party (Arbeiderpartiet, currently in the opposition), because he does not want to enter a coalition with FrP. Some reasons to that is that one might feel like the values KrF is fighting for (fight poverty, more money in education etc.) are quite contradictory with FrP’s values. But nonetheless, after Hareide came out saying that he could imagine a world where the Christian Democrats govern with the Labour party, journalists went all crazy because that actually meant the Labour Party + Christian Democrats would have a majority, and then Erna Solberg would fall to be replaced by someone such as Jonas Gahr Støre (leader of the Labour Party). What does all this have to do with Abortion Law? I am coming to it. But wait a second, the leader of the Christian Democrats cannot decide on his own who to collaborate with. The members of the party choose. So they had a Party Congress, in which the leader “lost”, since the majority of the members chose to be in a ruling government, and try and negotiate with the ruling government led by Erna Solberg. If the Solberg government refuses their asks, then the members of the Christian Democrats did not exclude negotiating with the opposition. Now what does a Christian Democratic party want? Take a wild guess. If you are in a reading mood, here is their full political program for 2017-2021. On their website they write that their basic values are ideology are: “KrF builds its policy on Christian-democratic ideology. Our value-base is derived from the Bible, the Christian cultural heritage and fundamental human rights and has its roots in Christian humanity, charity and managerial responsibility”. It goes on, as their programme is based on these pillars: solidarity, humanity, diversity, taking care of our elders, equal sharing of resources including environmental priorities, all that with the Bible in the background. The Christian Democrats are not saying they want to make abortion illegal in Norway. The fact that they want to change one paragraph in the law is already making a scandal, imagine if they actually wanted to make it illegal. So that is not happening (at least not yet) and women are allowed to get an abortion for any personal reason until 12 weeks of pregnancy. What is happening is that they want to change the paragraph 2c in the Abortion Law, which says that “After the end of 12th pregnancy week, abortion may occur (legally) when there is a high risk that the child may be seriously ill, due to hereditary traits, illness or harmful effects during pregnancy” (sorry about the approximate google translate translation). It turns out these illnesses which allow women to abort even after 12 weeks of pregnancy, are not defined in the law. It is up to the hospitals’ abortion committees to decide whether the illness of each foetus complies with paragraph 2c of the Abortion law. Strangely enough, the paragraph has been re-named “Downs paragraph” although there is no mention of Downs syndrome as one of the illnesses allowing a woman to abort after 12 weeks. 5- What does the paragraph 2c say, and how many abortions are we talking about? According to Aftenposten, in this very explanatory article on the current political crisis on the topic, the Abortion Committee says that in 2017 there were around 12,700 abortions in Norway, of which 287 were after the 12 legal weeks and under the paragraph 2c. This is around 2% of abortions that used the paragraph 2c for 2017, which is a relatively stable number. In 2017, those who got an abortion after the 12th week was mainly because the hospitals discovered heart diseases, nervous diseases and in some cases Downs syndrome on the foetus. Many of which meaning the foetus would not survive, or the born child will not survive (Note: there are many variations of Downs syndrome, and I am not saying people with Downs syndrome cannot survive). Abortions were then carried on in line with the hospital’s abortion committee. The Committee also says that the older the foetus is after 12 weeks and the harder it is to get an approval. After 22 weeks for example there has to be a deadly diagnosis for abortion to be permitted. 6- What does removing this paragraph mean for women in Norway? KrF wants to delete the paragraph, therefore making illegal an abortion after 12 weeks even if the life of the mother or the child is in danger. Even if the life of the child will be only pain and misery, and even if in light of new information the mother does not want to continue her pregnancy. This is for the sake of diversity in society, says KrF. Erna Solberg is open to changing the paragraph without deleting it, therefore restricting the right to abortion under these special medical circumstances, if “the foetus is viable”. Now don’t ask me what that means, and don’t ask doctors either who have been in the media saying it is very hard to medically determine in such cases where there are illnesses. Is living with a heart condition until one is 2 months old and then dying a viable condition? Some say yes, some say no. I am no doctor. We are at the fringes of the pro-life vs. pro-choice debate. 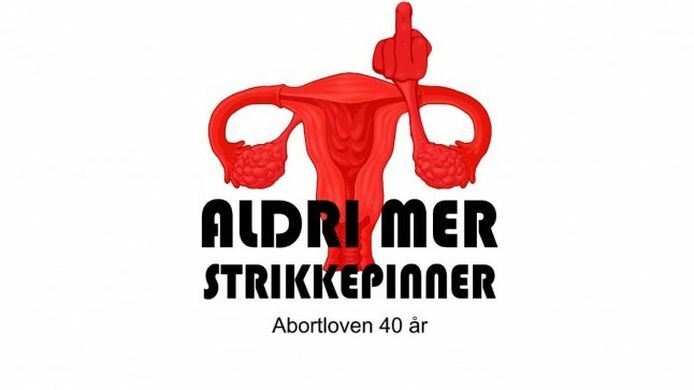 Some say it is unethical for Solberg to trade a change in the abortion law just to keep the power. The main problem is that those paying the price for this change might be the mothers and the children but certainly not the politicians deciding it. And the most ironic of all is that while the ruling government is negotiating to accept KrF’s wishes, they are also trying to cut social benefits for disabled people with multi-handicaps. It therefore does not feel like a consistent decision politically in the government. However the most interesting will be to see how KrP and FrP manage to collaborate, when their views on society are very different, and even their view on Christianity. On the abortion issue, the debate is just only starting, and arrives in a special time as abortion rights celebrate their 40th anniversary. The power struggle will deliver its result by Christmas when we know under which conditions KrF enter the government -or if they really did not manage to find an agreement and are going to the opposition after all. If they enter the coalition, Norway will be ruled by a right wing coalition of Conservatives, Far-right, Christian Democrats and Liberals. Yey…? Interesting summary! I believe you are not right in claiming that abortion after 12 weeks will be made illegal if the mother’s life is in danger though. No Norwegian party holds that opinion. As for your question in the last paragraph («How ethical is it to trade a change in the abortion law for a majority in Parliament?»), I believe this goes to the heart of politics. Politicians are elected on behalf of the people to make laws that will subsequently impact people’s lives. That is indeed the intention of politics. Many, if not all, of the choices politicians make are based on values and moral judgements on how society should function. Also, it is through seeking power that these values and ideas can be implemented into society. In order to reach a position of power in a political system designed for multiple parties, like the Norwegian one, there has to be a degree on pragmatism on the part of everybody and particularly smaller parties. They need to negotiate to get to agreement. They can negotiate about positions and about political issues. None of this is wrong. It’s what politicians are there for and it’s how politics work. This is what I listen to on tv a lot around my relatives right now. The debate on abortion is really obvious for me but I was told that was due to being a Christian American. Many Christian Americans are anti-abortion, making me stand out in the family among what Americans would label “leftist views” or even not Christian at all. I don’t know a whole lot about Norwegian politics but I recognize Knut. His face is on, like, everyday on the news. Reblogged. I seriously had NO IDEA what was going on except it was about abortion. Thank you for posting. Please can you keep us updated on this? Previous Previous post: Has Oslo Become the Coolest Capital City in Scandinavia? Next Next post: Why is your Norwegian Salary much Higher in December?